Vegan drinkers will be pleased to discover that Baileys has introduced its first dairy-free substitute to the much-loved coffee-flavoured liqueur. 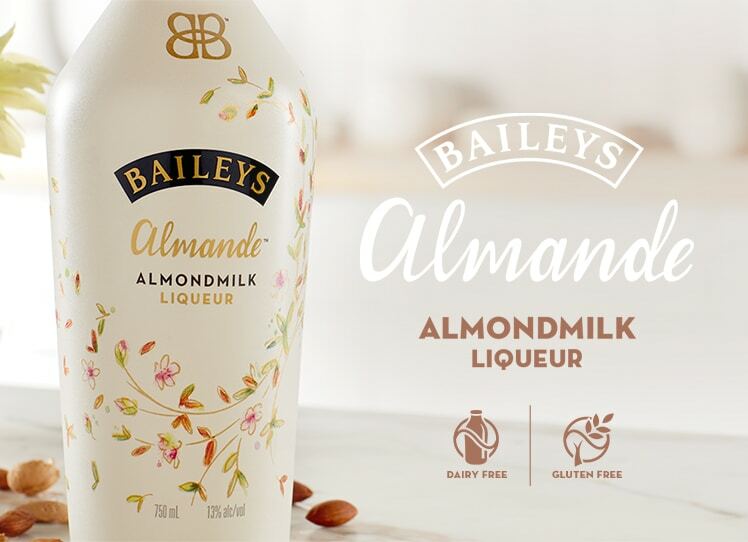 Get to know the brand-new Baileys Almande Almondmilk Liqueur. This organically lightweight tasting spirit is a dairy-free, gluten-free and a certified vegan liqueur that blends the luscious, nutty flavors of real almond milk with great tasting vanilla for an exceptionally delicious treat. And it seems as if they’ve finally delivered a great vegan liquor option. While Baileys Almande is exceptionally versatile and lends itself wonderfully to a wide variety of offerings, the trademark Baileys Almande Refresh showcases its effortless mixability with coconut water. Baileys Almande Refresh and Vita Coco have created mouth watering cocktail recipes that are dairy-free, gluten-free and vegan. Regardless of how it’s served, new Baileys Almande is the ideal, naturally light tasting spirit that flaunts the same calorie count as an average 5 ounce glass of wine, but in an even more pleasurable drink! To get you started off on your all new Vegan Baileys adventure we’ve got this incredibly simple recipe to kick things off. Kudos to consumers’ demands for vegan choices, increasingly more companies are providing products that are much better for human health, the environment, and animals. We look forward to raising a chilled glass of Baileys! Combine Baileys Almande with Vita Cocoover crushed ice and Enjoy!